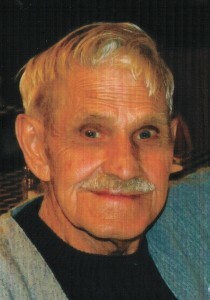 George Milton “Oscar” Pierson, 82, of Sugar Grove, PA. died Tuesday, March 13, 2012 at W.C.A. Hospital after a brief illness. He was born January 29, 1930 in Warren, PA. to the late Clyde and Ethel Hopkins Pierson. He has resided in Sugar Grove for the past 53 years moving from Youngsville, PA. George was employed with Marlin Rockwell Corporation as a bearing grinder, retiring from there after 27 years. He had numerous great friends whom he dearly loved and appreciated. He is remembered as having a great sense of humor, he enjoyed life and people. He is survived by his 4 children – Kathryn Frank and husband, Jim of Uhrichsville, Ohio, Ken Harris and wife, Charlene of Tazewell, VA., Mark Pierson of Sugar Grove, PA., Deb Wollenberg and husband, Keith of Corum, MT., 1 Brother – Neil Pierson and wife, Elizabeth of Youngsville, PA., 2 Sisters – Anita Boughton of Ellington, N.Y., Janet Smith and husband, Martin of N. Warren, PA. In addition to his parents, he was preceded in death by his wife, Mary “Marily” Hardenburg Pierson who died September 17, 2007 whom he married August 22, 1959 in Youngsville, PA., 1 Son – Craig M. Pierson,1 Brother – Reed Pierson in 2007, 1 Great Grandson – Robert J. Hall. Friends may call at the Donald E. Lewis Funeral Home, Inc., 304 East Street, Warren, PA. on Friday from 2 to 4 and 6 to 8 P.M.
Where a funeral service will be conducted on Saturday at 11:00 A.M. with Rev. P.J. Cathcart, Associate Pastor of Sugar Grove Free Methodist Church, officiating. Interment will be in Garland Methodist Cemetery, Garland, PA.
Those wishing to place memorials may do so through the Sugar Grove Volunteer Fire Dept. I will always remember that twinkle in your eye. You have a special place in my heart. Oscar was one of the most kind men I have ever met. I meet him and his family through waiting on them between various restaurants, and let me tell you how he could always put a smile on my face when I saw him walking through the door. He was a great man, with a wonderful family, and i wish you all the strength to get through these times. Oscar will always be in my heart and will be missed very dearly.